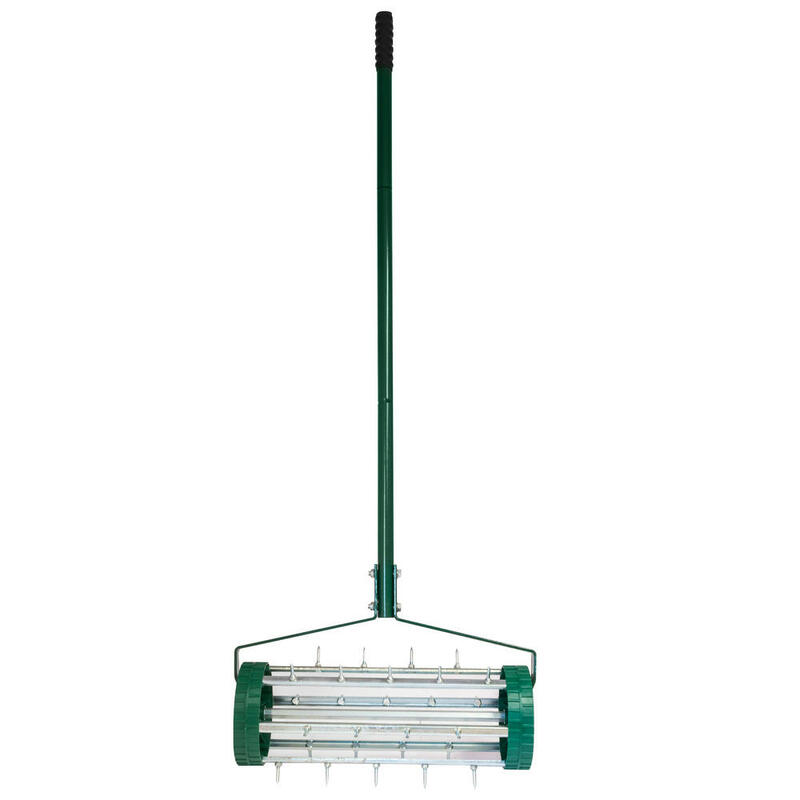 The Garden Spike Roller is a simple tool used to aerate your lawn, helping to generate healthy grass growth. 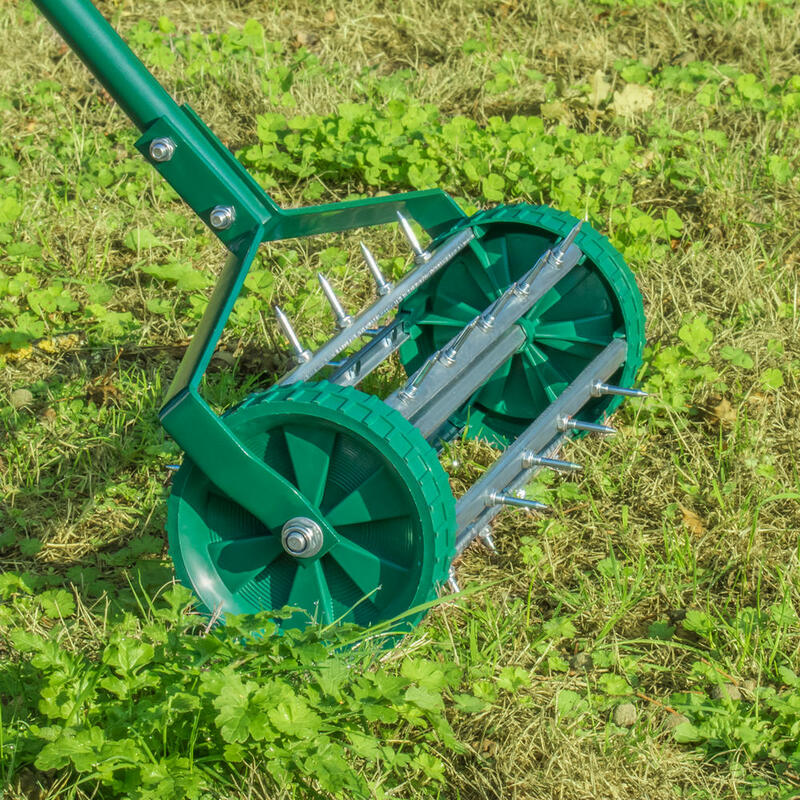 The soil in your garden over time may become compacted through children or pets running around on the lawn, or from general garden use. 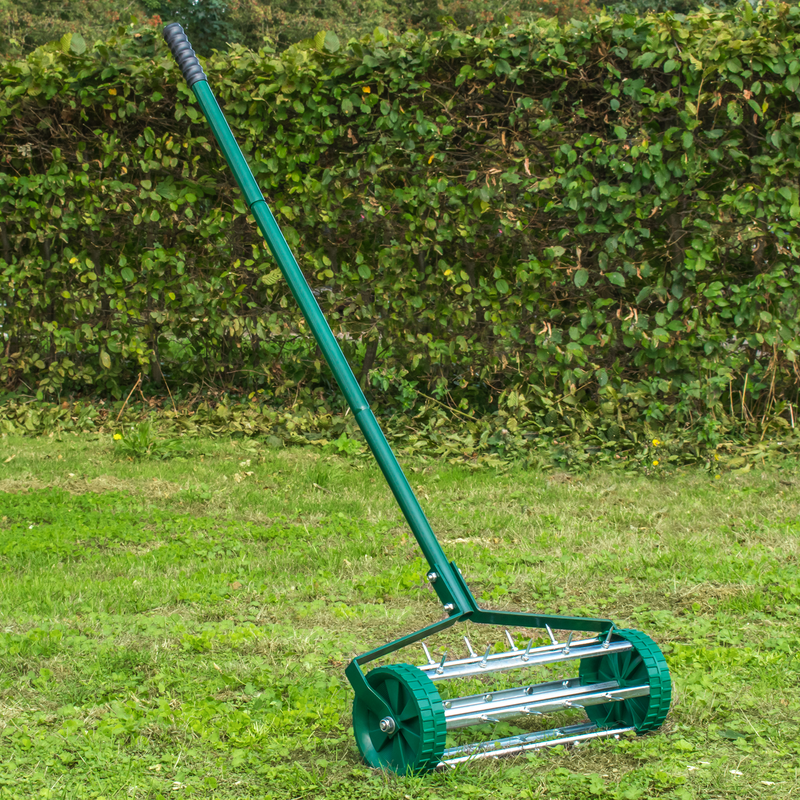 Compacted soil has a hard time circulating itself, which over time will starve the roots from the essentials required for healthy growth. 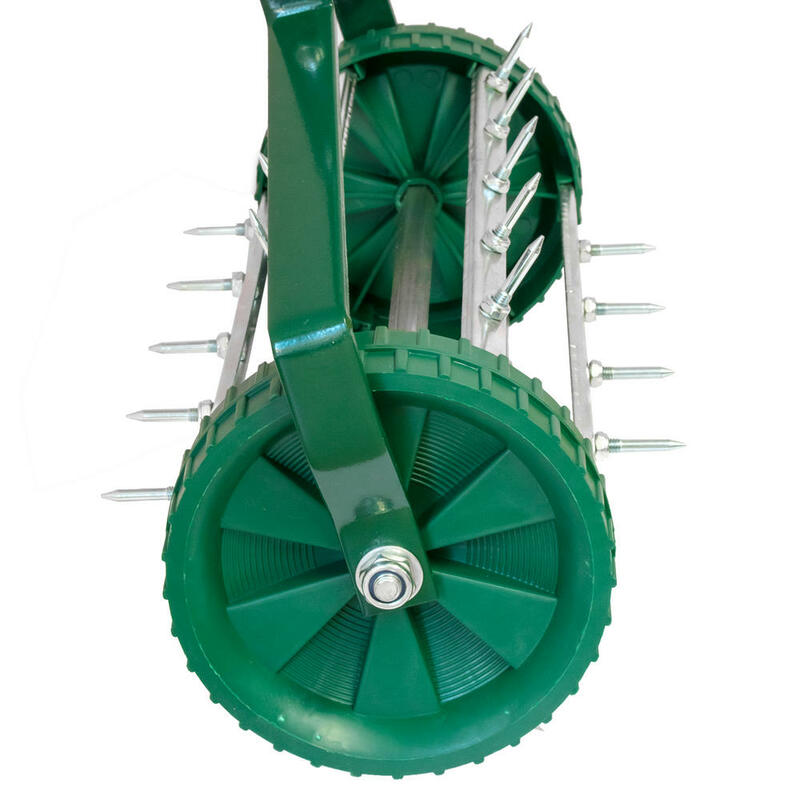 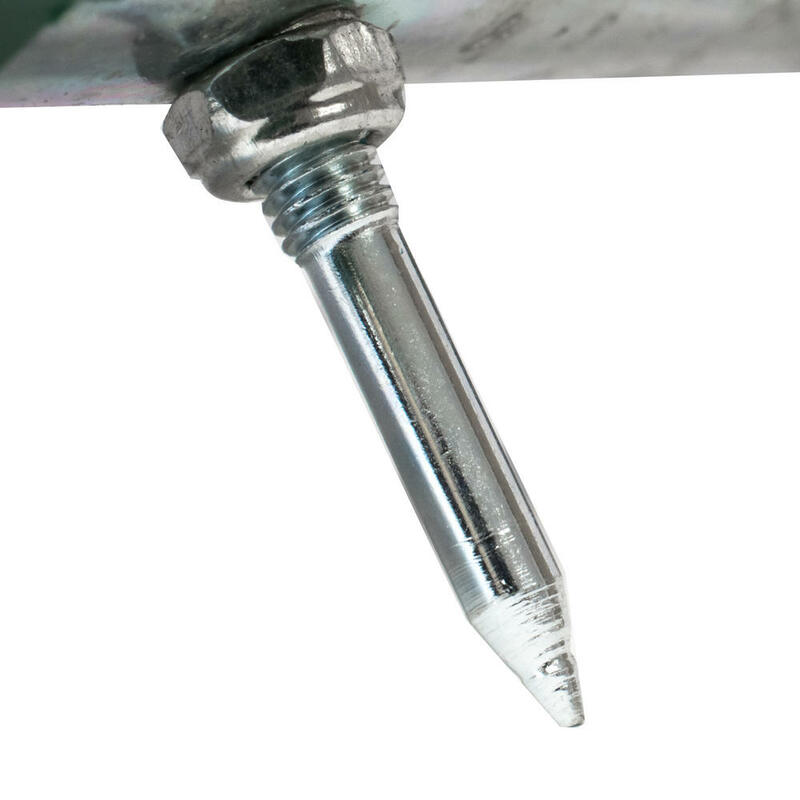 The Garden Spike Roller works by perforating the ground with its steel spikes, creating small holes in the ground. 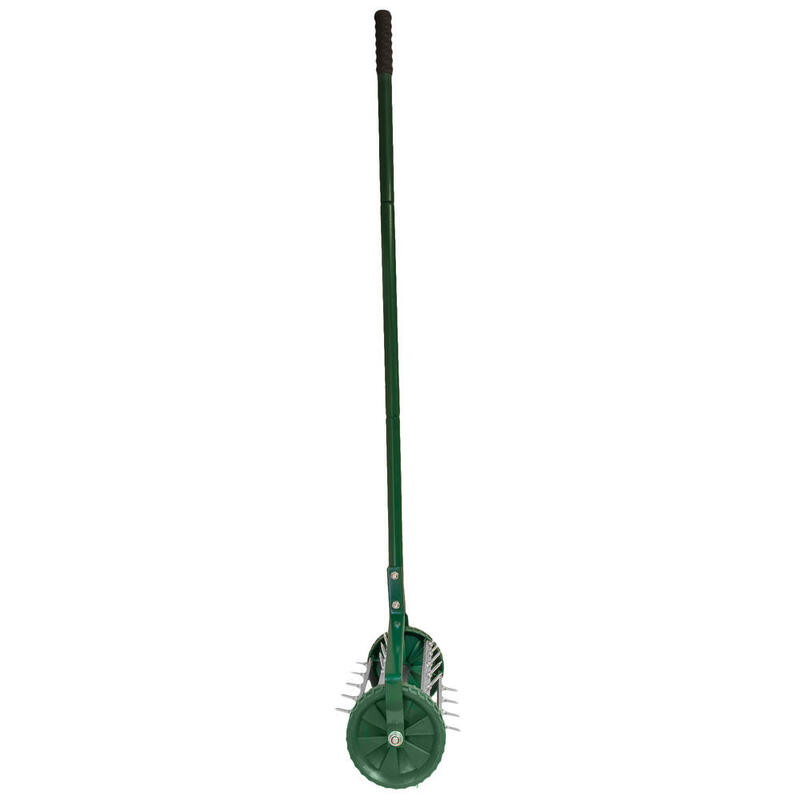 This allows air, water and nutrients to penetrate the grassroots which help the roots to grow deeply and produce a lush garden lawn. 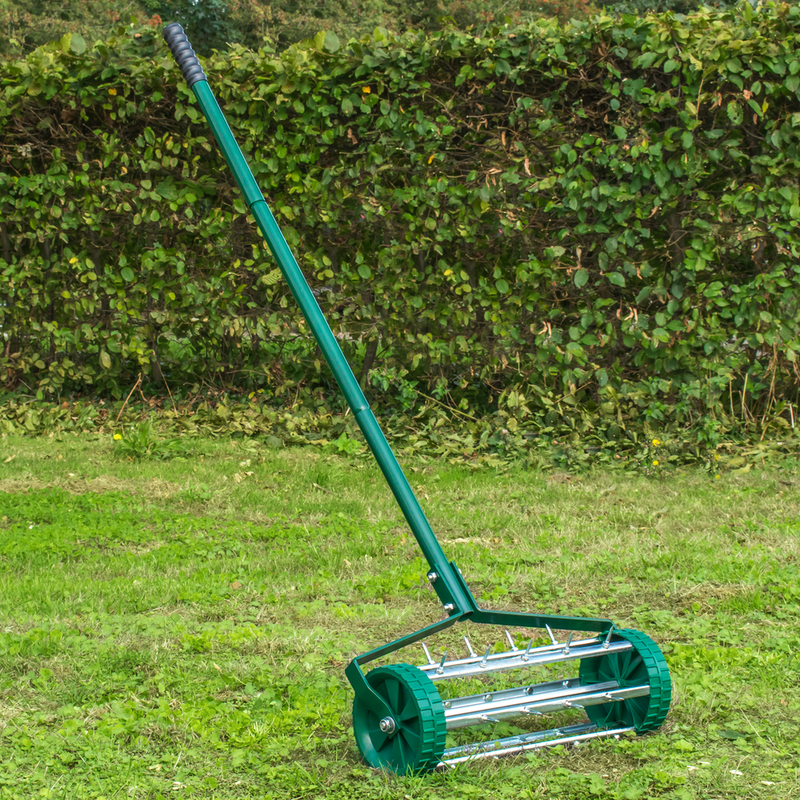 Using the Garden Spike Roller is a more natural approach to achieving a rich green lawn, rather than using potentially damaging and expensive chemicals. 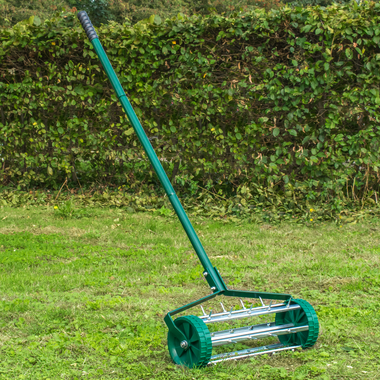 The Garden Spike Roller is easy to assemble, easy to use and is lightweight and compact enough to be put away after use. 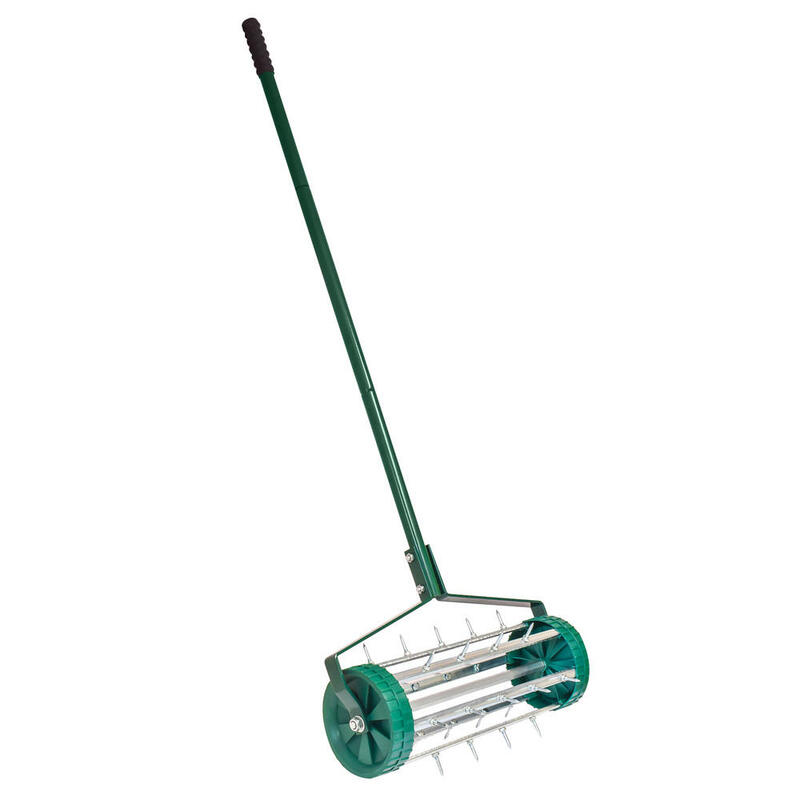 Helpful Tip* - For best results, make sure the soil you are going to aerate is moist enough. 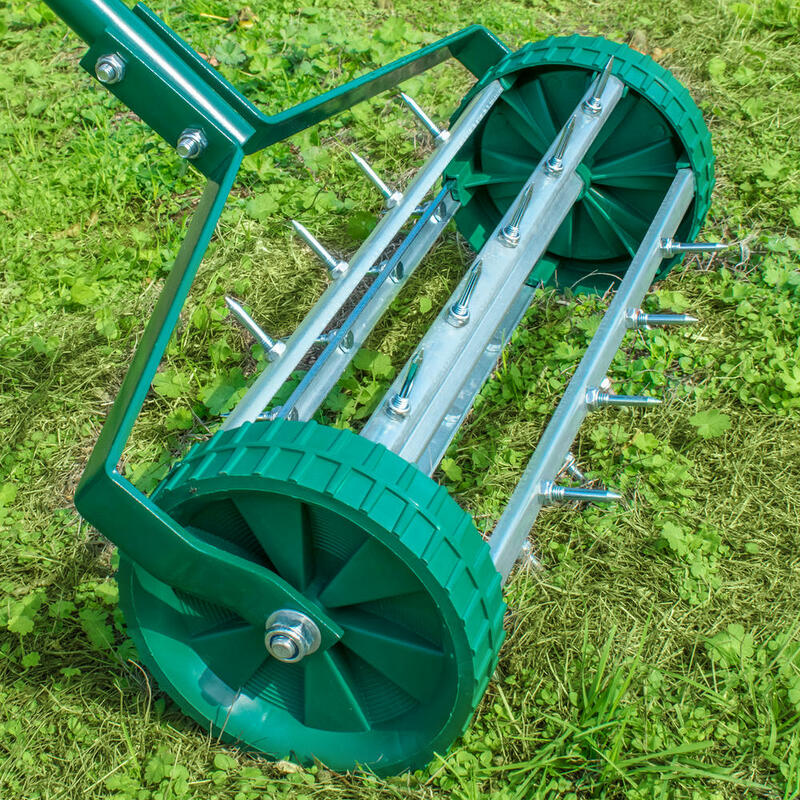 Trying to aerate dry soil is generally quite difficult so its best done after a rain shower or watering your lawn the day before.